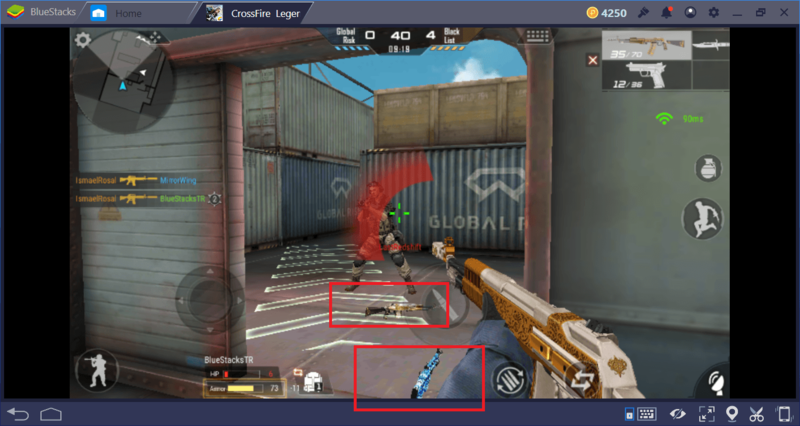 Weapons are the most important element of Crossfire Legends: There are literally hundreds of weapons in the game and each one is more suitable for a different purpose. Knowing how to get these weapons and when to use them can be particularly challenging for beginners. 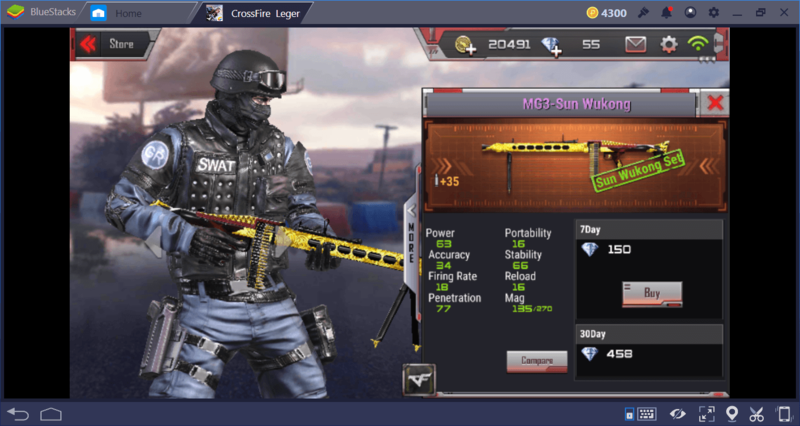 Well, thanks to this guide we have prepared, you can become a master of both topics: Continue reading to learn everything you want to know about Crossfire Legends weapons. There are many ways to get weapons. Buying Them With Gems. 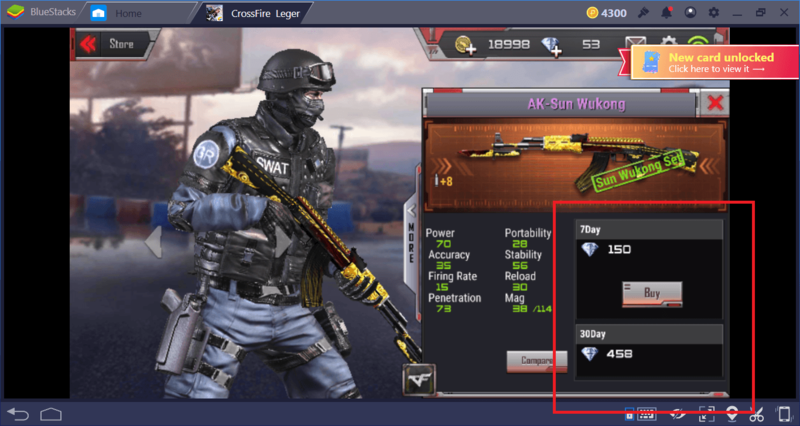 Unfortunately, the best way to get the best weapons in the game is to buy them using gems that you can purchase with real money. 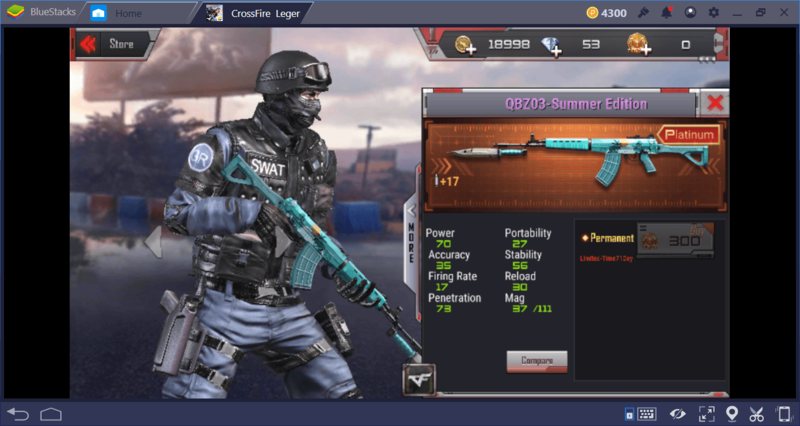 The prices are quite variable but we can say that buying a good weapon costs between 80 and 180 gems. So you have to pay about 9.99 USD for each weapon. However, almost none of these weapons are permanent: You can use them for up to 30 days. After this period is over, you have to buy them again. Buying Them With Rank Points. By playing ranked matches and getting rank points, you can purchase some of the weapons permanently (and for free). Getting Them Via Daily Award System. Every day you log into the game you will be entitled to a different prize. Weapons are among these rewards too. However, you can use these weapons only for a very short period of time (average 24 hours). After this period expires, they will be deleted from your inventory. Trying Them For Free. You can grab your opponents’ weapons from the ground after killing them. Such weapons will only be usable for that round, so you cannot add them to your inventory permanently. Getting Them As A Reward. 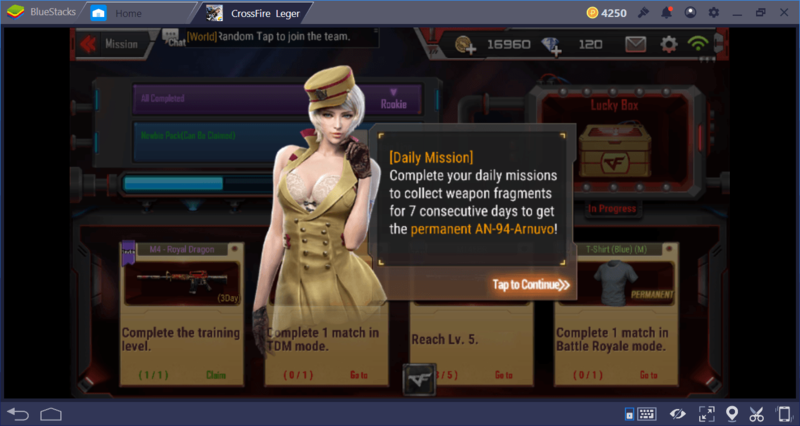 You can unlock a permanent weapon by completing the daily missions every day. However, most of the weapons that you obtain this way will be usable for a maximum of 7 days. Nevertheless, with this system, you get the chance to try as many weapons as possible for free. 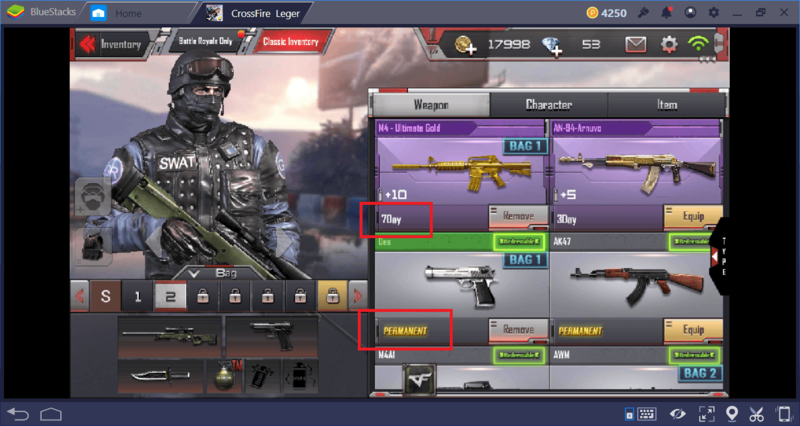 This way, you can also find out which weapon suits your game style better and make an informed choice before buying it. Unfortunately, almost every weapon has a specific usage time, except the ones you buy with Rank points. When this time expires, they are automatically deleted from your inventory. So even if you have paid real money to get them, you are actually “renting” a weapon for a certain period of time. Open your inventory: If you do not see the “permanent” sign next to a weapon, this means it will be deleted within a certain period of time. You can also see what this time is on the same screen. Contrary to popular belief, this is not a pay-to-win system: Just the opposite, it ensures that best weapons can be obtained with talent. If you are a talented gamer, you can earn enough rank points and buy permanent weapons with them, completely for free. If you are untalented but a “rich” player, you can only rent them for a certain period of time. 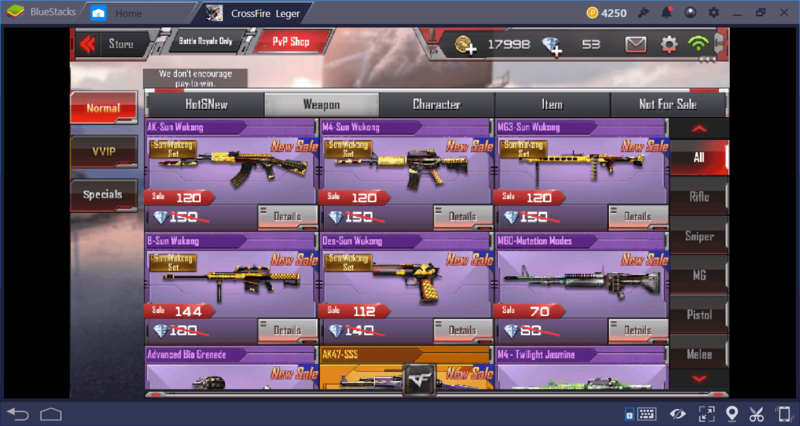 Crossfire Legends has 8 weapon categories in total. 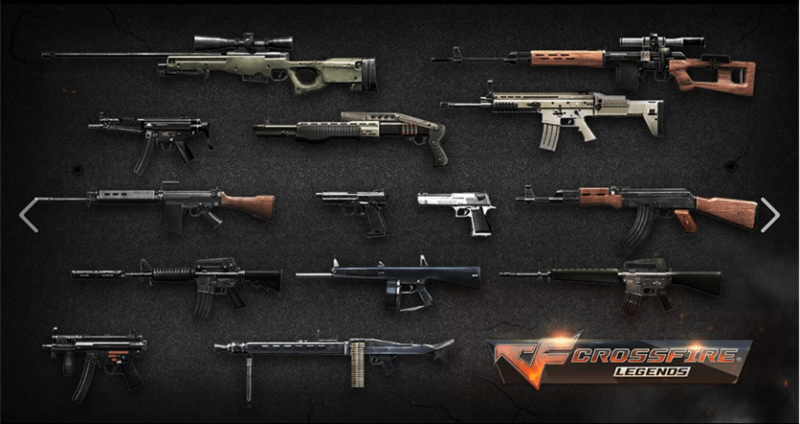 These are assault rifle, sniper, MG (machine gun), pistol, SMG (small machine gun), shotgun, throwable, and melee. You can carry two weapons, one melee, and three throwable items at the same time. There are 8 “bags” in your inventory, and you can create your own custom equipment sets by placing different weapons in all of them. 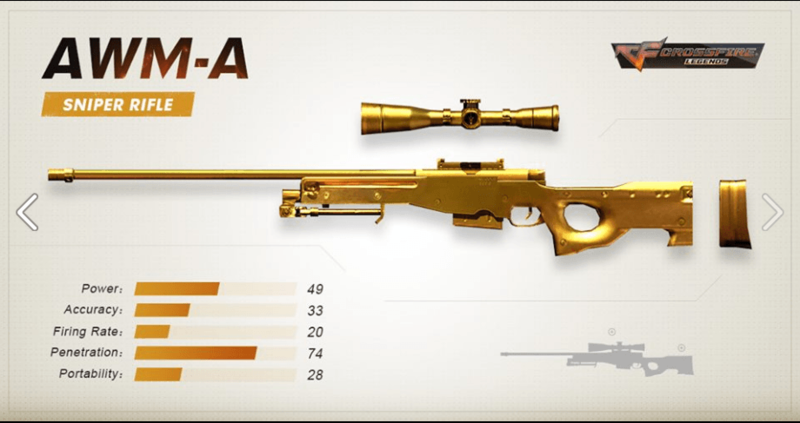 So, for example, you can place sniper rifles in one bag and shotguns in the other: You decide which one you need to use, according to the game mode and the map. Assault Rifle AK-47 SSS & M4A1 AK47 has a “shotgun” attachment, which makes it perfect for close quarters combat. M4A1 brings improved firing rate and penetration. Sniper AVM Amazing firing rate – almost as fast as an assault rifle. 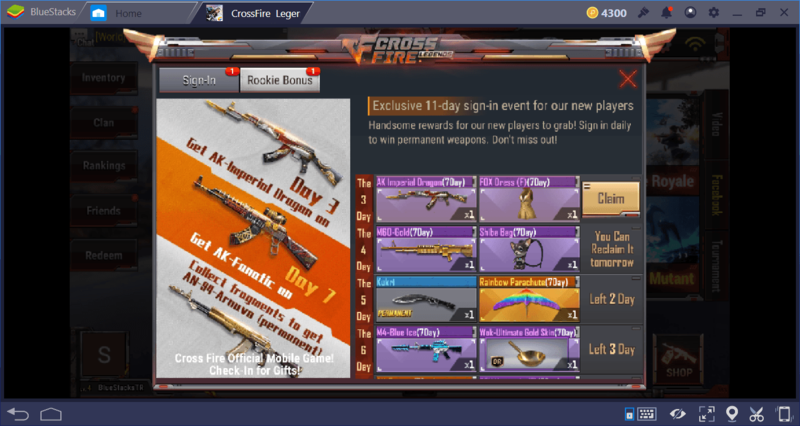 Remember that new weapons are added to Crossfire Legends game with nearly every update. So this list will lose its actuality soon. In general, we recommend that you pay attention to the firing rate in assault rifles and penetration value in sniper rifles. 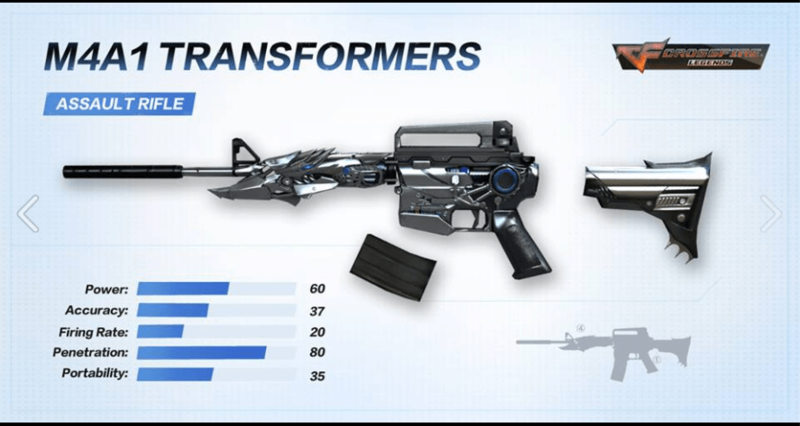 These are the weapon categories you will use the most. To be honest, MGs are almost completely useless, so don’t waste your time trying to get them. Remember that these are only recommendations: It is best if you build your equipment sets according to your game style. 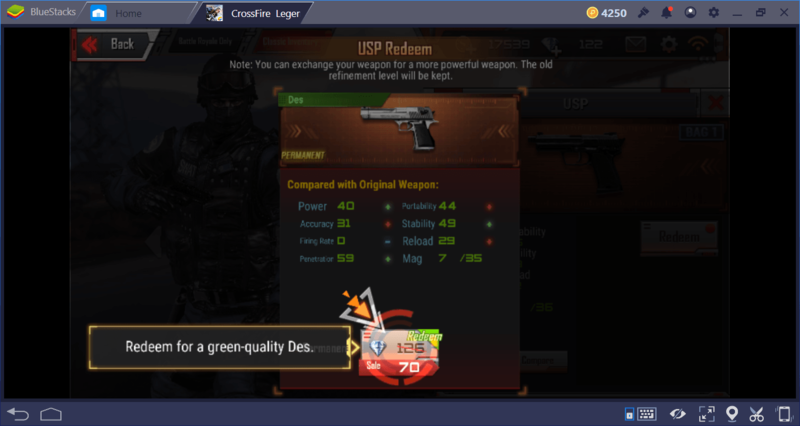 If you are seeing a “redeemable” sign next to a weapon, you can make it stronger by upgrading that weapon. You can upgrade a weapon more than once and each time it will become stronger. 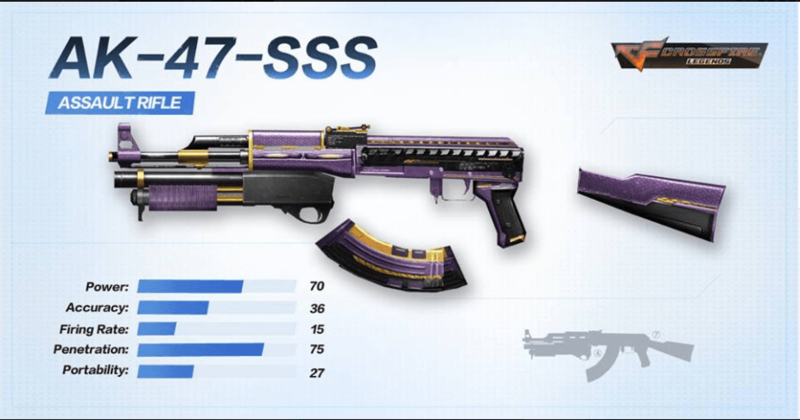 Theoretically, you can upgrade all of your weapons and get the best possible versions of them. However, this method requires you to spend a certain amount of gems each time. So, this is not a feature you can use often. We recommend that you only use it for weapons that you have acquired permanently. 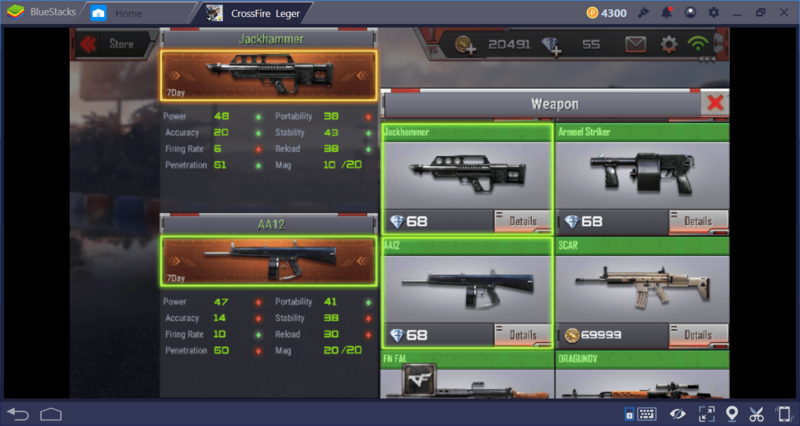 These are the most important things you should know about the weapons in Crossfire Legends: Now, you can use them much more effectively on the battlefield. Let us remind you once again that it is a great advantage to use BlueStacks: We become the top players in almost every match just because we were able to use our keyboard and mouse to aim and shoot. 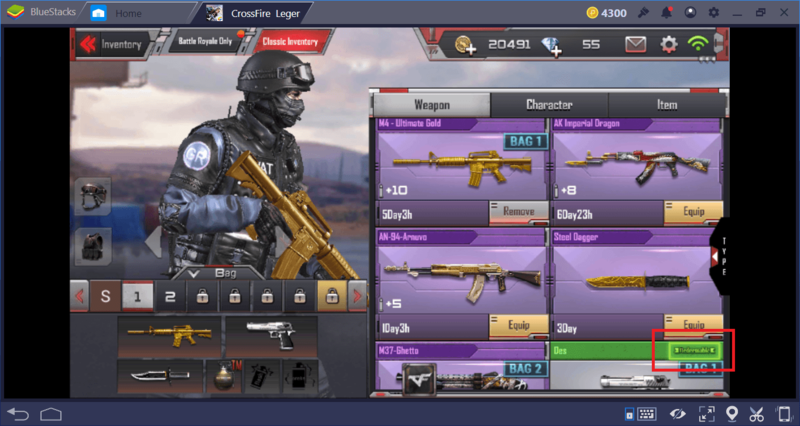 Play Crossfire Legends on BlueStacks to fully use your skills. Good luck!